Pink links are affiliate links and using them helps support LOoG. 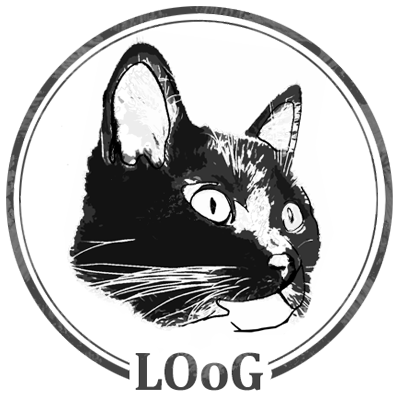 If you don't want to support LOoG, search for products on your own. When you need to power Arduinos, STM32s and other MCUs, a stable and versatile power source is important. During testing, it may be enough to power the MCU from the onboard voltage regulators, and peripherals from a lab bench supply, but power options become more limited when a project moves from a lab bench to the field. There are a million questions on electronics forums about how to power Arduinos, ESP32s, STM32s etc. So I thought I’d share my personal preferences. 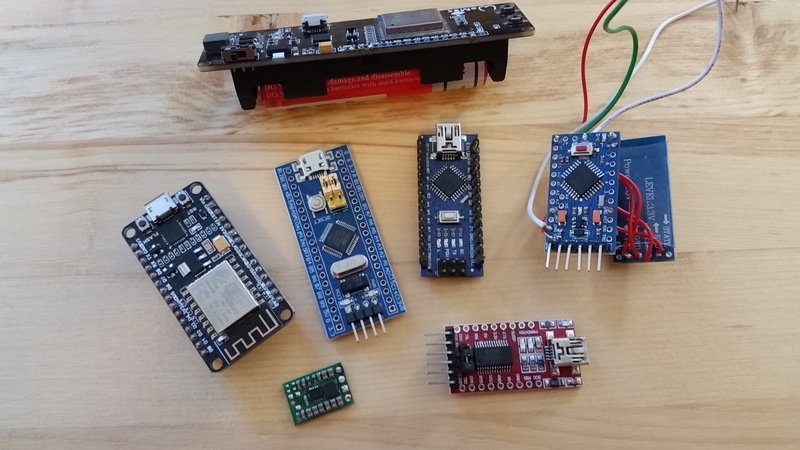 Pictured TOP: ESP8266 Dev Board with onboard power managmeent for 18650 cell. Left to Right: ESP8266 Dev Board, STM32 Blue Pill, 5v 16mhz Arduino Nano, 3v 8mhz Pro Mini soldered to an HC-05 bluetooth. Bottom Left to Right: Pololu D24V6F5 Voltage Regulator, FTDI Programmer. My personal preference is to use a step-up/step-down voltage regulator. I lean toward Pololu’s product offerings. I typically power 5v versions of Arduinos direct to the 5v pin, with one of a couple different Pololu 5 volt regulators. Alternatively, if you have an STM32, ESP32, an Arduino Pro Mini 328 3.3V 8mhz, or a lot of 3.3v sensors that make any variety of a 3.3v MCU the ideal choice, to avoid voltage dividers, the Pololu 3.3v regulator, S7V8F3 is an ideal choice. If you want to power any device from a single Lipo battery, you have to consider the voltage range of a LiPo battery. A 3.7V LiPo battery is ~4.2V at its max charge and ~2.75V at its lowest. If powering a 3.3V or 5v MCU, one of the voltage regulators with and input voltage down to 2.7 voltage is necessary. You can power Arduinos, other MCUs from external voltage regulators and sources, or you can also choose an MCU with its own built in power management. A few good options, including ones that can use the Arduino IDE exist. The ESP32 with onboard power management and 18650 LiPo, also has onboard Wifi. If you are interested in a non Arduino ecosystem, a development board from Particle, has a nice web connected IDE, on board 1s LiPo power management, and uses an affordable cellular network, with data management tools. Hope the power recommendations help you with your next project. Here are a list of the boards pictured, and some that are not(pro micros not pictured). 16mhz Arduino Pro Mini & Pro Mini Clones – Needs a serial programmer. Particle | Electron 3G Device Kit w/LiPo 2000mah – Its a little premium at $69.00 + monthly service of 2.99, but the Cellular connectivity, 3g network, IDE, and community are really great, and supportive.